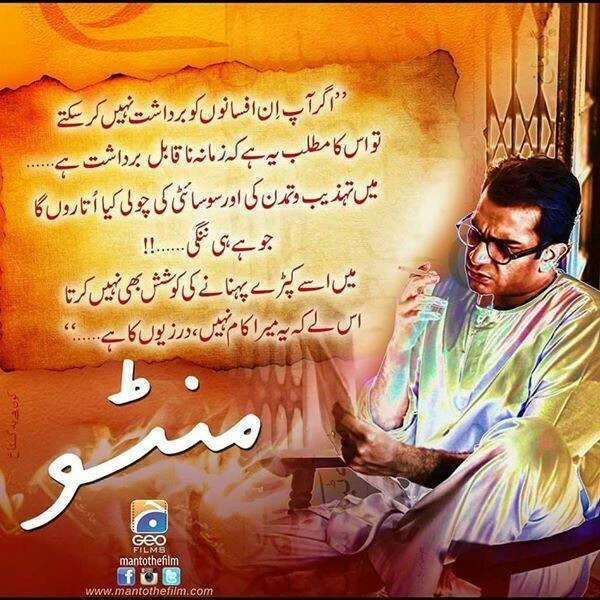 Manto is a biopic drama airing on Geo TV on every Friday 10 PM. 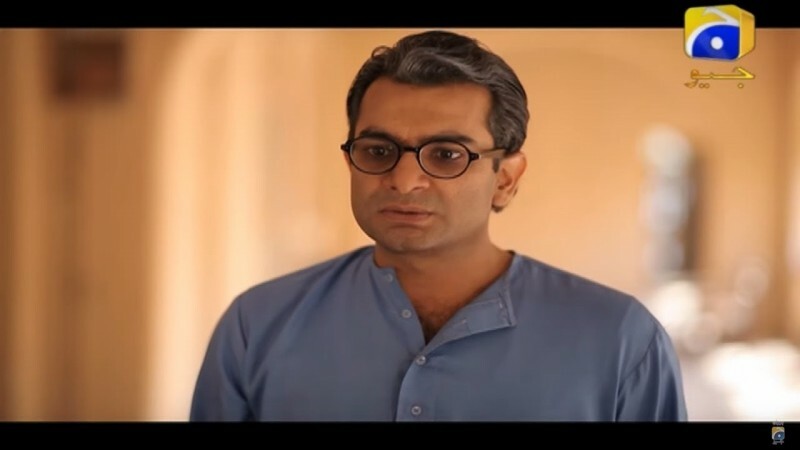 The drama is the story of writer Saadat Hasan Manto. 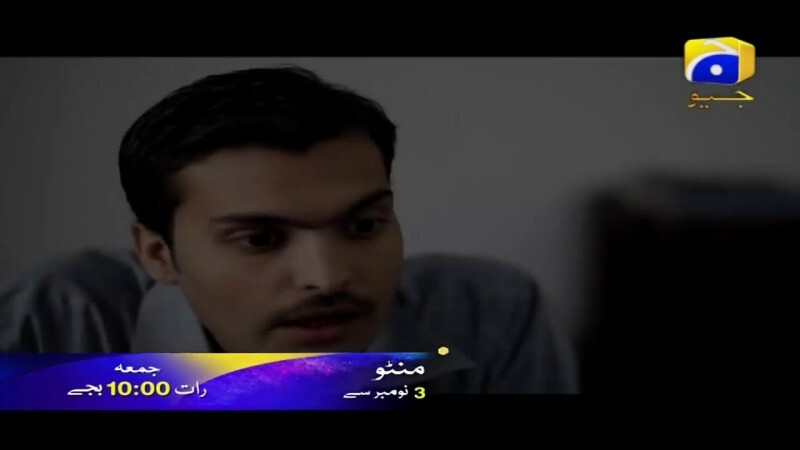 The director of the drama is Sarmad Khoosat and the producer is Babar Javed. 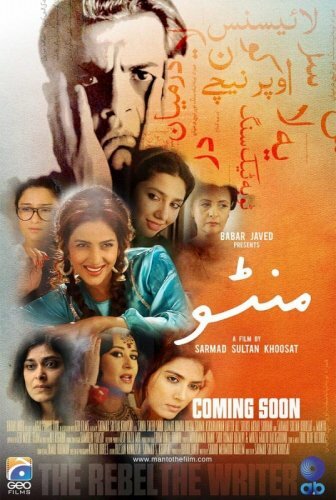 The drama is starring all leading actors like Sarmad Khoosat, Saba Qamar, Sania Saeed, Nimra Bucha, Faisal Qureshi, Arjumand, Tipu, Nadia Afghan and Yusra Rizvi. 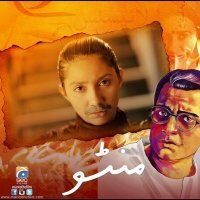 If you want to see the complete details, timing, Ost song and a teaser video of Manto drama then check out this page. Here you can also post your comments and reviews about drama.